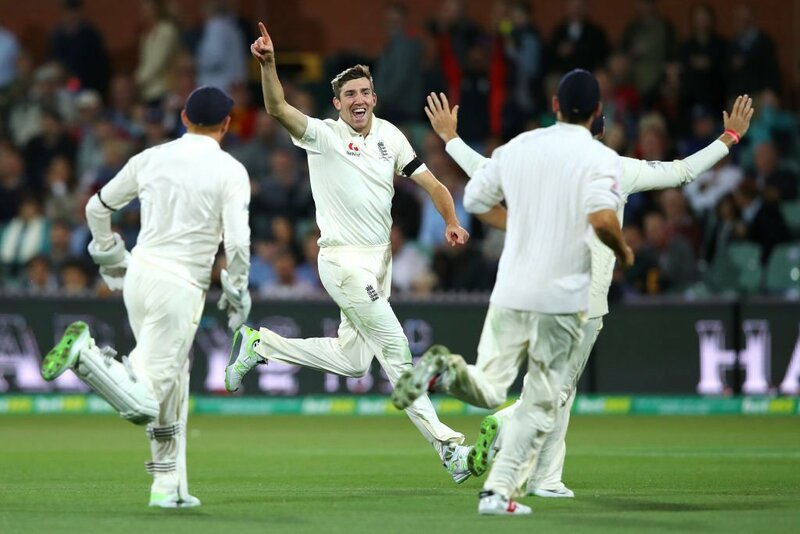 Adelaide, Dec 2: England snared the prized wicket of their nemesis Steve Smith as Australia toiled under the lights in a feisty opening day of the first-ever day-night Ashes Test here today. "It was a pretty nice one, obviously," Overton said of his dismissal of Smith. "He's one of the best players in the world to get that one to start with and hopefully I can carry on with that tomorrow." "We're pretty happy. We felt like we bowled pretty well all day," Overton said. "We'll come back tomorrow with the new ball and hopefully get a couple of early ones and be quite on top." At one stage James Anderson stood just off the pitch and close to Smith at the non-striker's end as the pair exchanged barbs and needed umpire Aleem Dar to step between the two to calm tensions. "I'm not sure what was said, I was on the boundary, but obviously they said a few things and it looked like he got under his skin," Overton said of the exchanges with Smith. "But he still got 40, so he played pretty well. It's nice to get him in the end." "I wouldn't say we're streets ahead but I'd say we're pretty happy with four for 200 at the end of the day," Khawaja said. "It's going to be important how we bat tomorrow. Tomorrow's going to be an important day for us." Ashes holders England cannot afford another defeat after their first Test mauling at the Gabba.